Love this western chic look. It was inspired by one of my favorite musicians Kacey Musgraves, who posted a similar look to her Instagram. 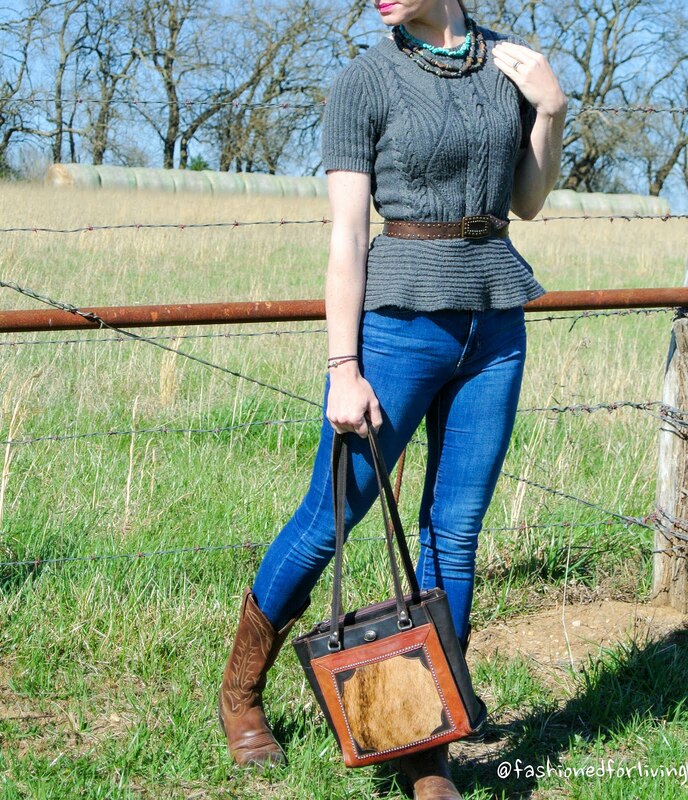 A peplum top is very figure flattering, and accentuates the waist and hides the rest...especially when paired with high waisted skinnies! My top is the only item still available so linking similar pieces for everything else, plus some other cute boots and bags!